"Five Stars ... delightful unpretentious, well-crafted tunes, played with impeccable dynamic control, superb balance and infectious fun. Hard to believe it’s only two instruments ... altogether enjoyable stuff." Where has my boy flown to? "... beautifully performed ... a seriously fun disc: fun because of the festive nature of much of the music and of the obvious musical chemistry between Ogden and Stephens; serious because of the outstanding artistry and technical proficiency displayed by the two artists." 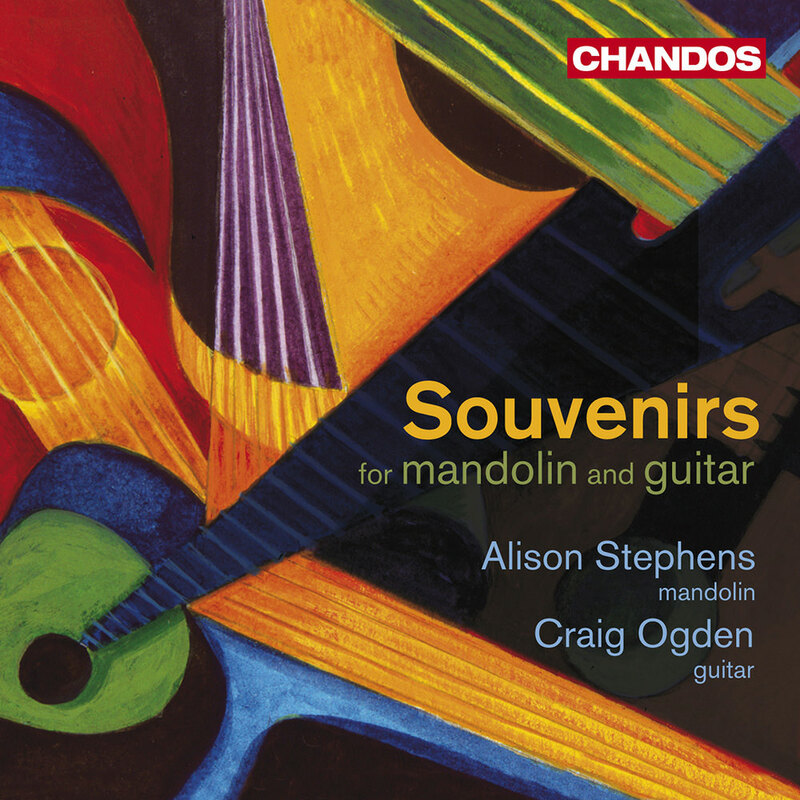 This album of rarely recorded repertoire from the very successful musical duo of mandolin player Alison Stephens and guitarist Craig Ogden contains several world premiere recordings. Both the mandolin and guitar are intrinsically linked to indigenous music from around the world and this album is a celebration of two incredibly hardy and adaptable instruments which have the unusual ability to bridge musical styles and cultures in a way that few other instruments can. There is an added dimension to this album as Stephens’s royalties are being donated to MacMillan Cancer Support.